Recently, Xerafy released Xplorer, a UHF RFID tag specifically conceived for drill pipes tracking. 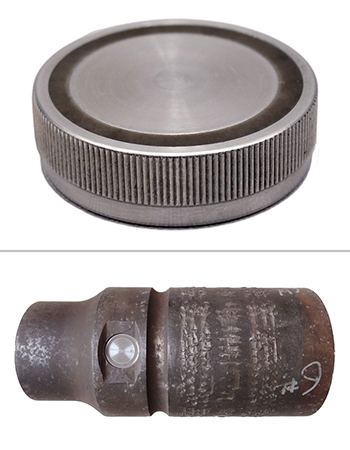 Designed while working closely with oil and gas service companies, this extremely rugged RFID tag allows accurate tracking of down-hole and surface drill pipes, sub-sea oil pipes, blowout preventers (BOPs), wellheads and other metal assets used in the harshest conditions of the oil and gas industry. Xplorer can be quickly and securely snapped in a circular hole with diameter of 28mm drilled in the pipe surface to accompany the asset along its whole life. The new Xerafy product leverages the advantages of the UHF RFID technology and emphasize them through an innovative RF design to offers high data rate combined with read range up to 1.5 meters when flush-mounted in metal. This results in easy and fast asset identification also in difficult conditions, for instance with low luminosity and presence of dirt, and effective retrieval of data about technical specifications, maintenance history and usage information of any tagged asset. This UHF RFID tag drill pipes tracking has been validated by tests simulating simultaneous high temperature and high pressure. Its rugged encasement, which is made of stainless steel 304 and a special polymer by Victrex, is rated IP69K and withstands very long exposure to high temperatures up to 250°C, high pressure up to 30000 psi, strong vibrations and shocks, sand blast processes, all kinds of corrosive chemicals typical of oil wells’ drilling operations, including hydrogen sulphide (H²S). The tag is ATEX certified for being safely used in hazardous environments. Xplorer features the Alien Technology Higgs-3 chip and can be delivered pre-encoded and laser engraved. The product is available in 902-928 MHz and 865-868 MHz versions. Please contact Xerafy for additional details on this UHF RFID tag drill pipes tracking. If interested in RFID tags for other applications, do try our RFID Tag Search Engine or contact us at info@veryfields.net, also for suggestions on complete RFID solutions. This entry was posted in RFID News, RFID tags and tagged Xerafy. Bookmark the permalink.